aren't the first ones chosen to get the job done. This is a big mistake on the part of others  because although unconventional, the Otter's methods are usually quite effective. Yes, the Otter has unusual way of looking at things, but he/she is equipped with a brilliant imagination and intelligence, allowing him/her an edge over every one else. 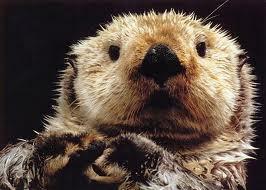 Often very perceptive and intuitive, the Otter makes a very good friend, and can be very attentive. In a nurturing environment the Otter is sensitive, sympathetic, courageous, and honest. Left to his/her own devices, the Otter can be unscrupulous, lewd, rebellious, and isolated.